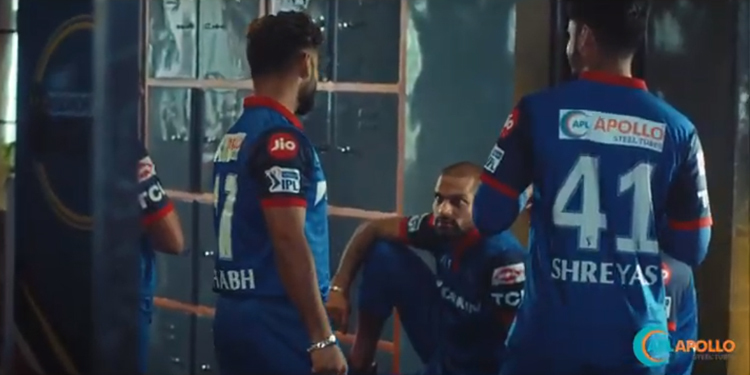 New Delhi: APL Apollo the maker of steel tubes and the principal sponsor of the IPL team – Delhi Capitals, has launched a 360-degree campaign with a powerful idea called “The Inner Strength Of India”. Conceptualized by Crayons Communications, the TVC stars key players from the Delhi Capitals team. Ranjan Bargotra, President, The Crayons Network says, “It feels great to work with a client who loves to take bold, confident steps to build one’s brand. This is just the beginning, there’s a lot more in the pipeline which will take the brand to the next level”. The ad has been directed by Aiman from Asylum films and the rap is by Kaam Bhakri of Gully Boy fame.